Fast Company gives professional advice all the time, but we rarely post law enforcement-specific leadership tips. Today, however, we have an important one: If you're an undercover police officer, don't tweet about your job. Or keep a Tumblr that mentions you're an undercover police officer. Or post Instagram shots of your police work. Seems pretty obvious, but one Washington, D.C., police officer did all of these things--and had her alleged real identity exposed by activists. 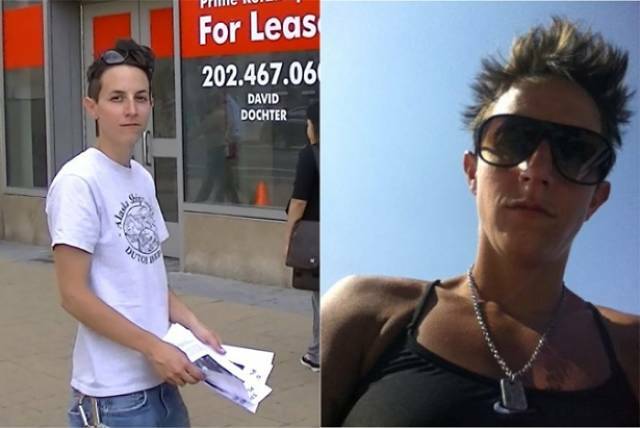 Attorneys Jeffrey Light and Sean Caravan, along with activist organization United Students Against Sweatshops, claim that Washington, D.C., Metropolitan Police officer Nicole Rizzi regularly attended protests under the pseudonym "Missy"--and are backed up in their assertion by Rizzi's massive social media footprint... and the Twitter posts where she discussed working for the Washington Metro PD, the Tumblr posts where she discussed her dress code as an undercover cop, and the Instagram and Yfrog pictures she posted of police life. Then there is the fact that personal pictures she posted of herself appear to be the same as pictures of "Missy." The picture below, posted by Mike Elk, an In These Times journalist who broke the story, compares a picture of "Missy" on the left with a picture posted from Rizzi's now deactivated @snufftastic Twitter feed on the right. So if you're a cop on undercover assignment, it might be smart to keep away from social media--otherwise, your real identity may just be spilled all over the Internet.